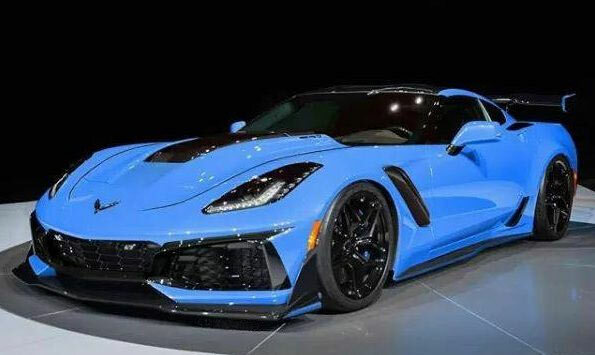 The new Corvette ZR1 with its eye watering 755hp, 0-60 second time of 3 seconds and 200mph+ top speed is destined to marry the best of American muscle and sports car which comes from a long line of ZR1 vehicles dating back to the 1970s. The original 1970 Corvette ZR1 featured a small block LT-1 350ci. V8, steel crankshaft, aluminum intake manifold, high-lift camshaft, four-bolt main block, 11:1 compression ratio and 4 barrel carburetor. A M22 “Rock Crusher” close-ratio 4 speed transmission with J56 heavy duty brakes and F41 suspension were the order of the day. This video, although it has a robotic voice, gives you a nice overview of the Corvette ZR1 from its earliest incarnation, up to the present day. If you just want a video for facts and figures, this is the one for you, however if you want something a bit more entertaining than you will have to look elsewhere. If you can’t afford the new ZR1, consider looking at a used C6 ZR1 which was recently nominated as one of the best sports cars under $75,000.